Considering buying a new construction home? The fact is that buying a new construction home is a very different experience from buying an existing home. Do you want a speculative home, a semi-custom home or a custom home? Aren’t sure what’s the difference? Before you start the process of buying a new construction home it is a good idea to familiarize yourself with a few common industry terms. However, a word of caution. There are literally hundreds of terms. Which, makes it difficult to know them all. But, that also means if you don’t know or understand a specific term it is essential to ask questions. Most large community developments in the Austin area including Travisso have model homes with sales personnel that are excellent resources. So, don’t be afraid to use their knowledge to guide you through your new home buying experience. First, let’s define the difference between the three most common home types. A speculative home is also more commonly known as a spec home. In this case builders buy property and build homes that are not under contract. The goal is to sell the home for a profit. Spec homes are fully complete when they are put up for sale. However, it is possible to find one that is under construction and purchase it. The advantage here is that buyers can select their fixtures and finishes to reflect their lifestyles. The second type is semi-custom. Even though these home are built by production builders, buyers are able to modify the home’s structure in addition to selecting and personalizing both exterior and interior finishes. Lastly, a custom home is a one-of-a-kind home. In this case a builder builds and designs the home to a buyer’s specifications. The advantages are that you can control the layout, lot size, style and accessibility. Allowance – We are all familiar with the term. But, when it comes to new home construction the term takes on a slightly different meaning. It is a specific amount of money set aside in the contract by the builder for items that need to be selected by the homebuyer. Such items include flooring, light fixtures, kitchen and bathroom backsplashes, tiles, and more. Exceeding the allowance results in additional costs to the homebuyer. Appraisal – An appraisal is an estimate of the value of a property completed by a professional appraiser. Blueprint – A blueprint is a drawing of a floor plan that is used for planning, designing, and building a home. Builders also use it to estimate the price of a home and request permits. Builder Warranty – A period of time in which a builder will replace, repair, or fix certain elements in the home. Builder warranties vary. So, be careful when reading your contract for what the warranty covers and for how long. It’s also crucial to know what’s not covered. Builder-backed warranties typically last for one to two years for materials and 10 years for structural components. But, again, read the warranty to know the exact terms your builder is offering. Building Codes – A set of rules established by a local or state government that regulate how a house can be built or modified. Certificate of Occupancy – This certificate is issued by the local jurisdiction after all inspections of the home have been passed and meet code. The home cannot be occupied until a certificate of occupancy is issued. Change Order – A written document usually at the request of the homebuyer to modify or change the original plan. In many cases homebuyers request a change order to modify the floor, add a feature to the home, or change one of the finishes. Be cautious here. Depending on the request a change order can affect the price of the home and the time it takes to complete it. Closing – A closing refers to the final step in a real estate transaction. 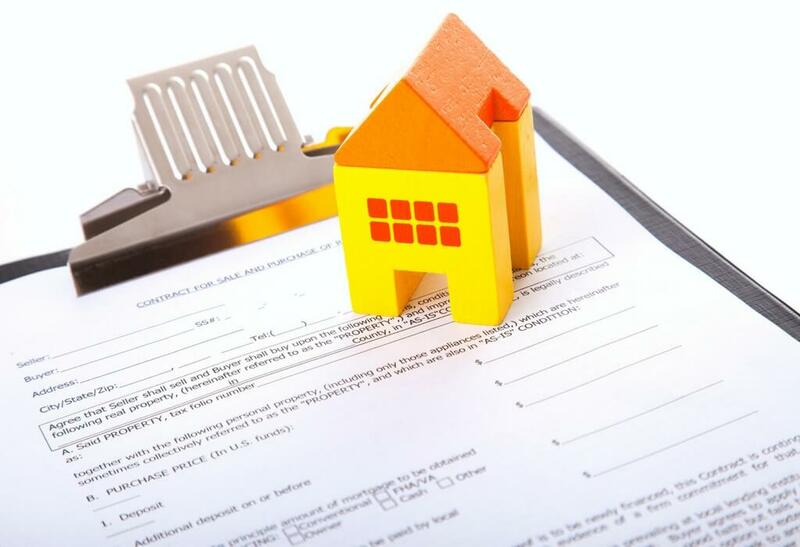 During a closing the ownership of a property is transferred to the homebuyer. Conditions, Covenants and Restrictions – Known more commonly as CC&Rs, they are a set of rules established by a developer or Homeowner’s Association that oversee the residences in a community. Some typical CC&Rs include restrictions on pets, paint colors, on-street parking, noise levels, and pools. Deposit – A sum of money due at the time you sign your contract. The amount of the deposit can vary from one builder to another. Deposits can range from a few hundred dollars to thousands of dollars. The range of the deposit depends on both the cost of your home and whether you are working with a production or a custom builder. Elevation – In the construction industry an elevation refers to a two-dimensional drawing of the exterior faces of a building. It can also, at times, include features of the home that project flat surfaces such as cabinets and fireplaces. However, most builders use the drawings to show prospective homebuyers those homes they plan to build. Typically, a builder will feature several different exterior elevations available for the same floor plan. The choice of the elevation is up to the homebuyer. Extras – When it comes to new construction the term extras, means just that. It is work that you asked the builder to do during the construction process that was not in the original contract. A builder has the right to decline your request. However, if your request is accepted, it will cost you “extra.” Expect a separate bill for the work. Floor Plan – In the new home construction industry a floor plan is a visual representation of a home viewed from above and drawn to scale. It’s also a great resource that shows the relationship between rooms in a home, measurements, and the overall flow of the home. HERS Index – The Home Energy Rating Standard (HERS) index was developed by the Residential Energy Services Network (RESNET). Builders use it to indicate a home’s level of energy efficiency. The lower the score, the higher a home’s energy efficiency. Homeowners Association – Wikipedia defines a Homeowner’s Association (HOA) is an organization of homeowners in a particular subdivision, condominium complex or master-planned community. It also serves as a governing body. The goal of an HOA is to preserve and maintain the homes and properties within a community. HOAs provide many benefits and amenities. Homeowners living in communities with an HOA pay a monthly fee. Land Survey – In the most basic of terms, a land survey is map of a property outlining its boundaries. Permit – A building permit is a legal document issued by a governing or other regulatory body before constructing a new or existing building. Builders cannot start the construction of a new home unless a permit is present. Plat – Drawn to scale, a plat is an official map that defines the boundaries between different parcels. They’re extremely important because they show all features of a property and its boundaries. Plot Plan – A plot plan shows the location of the home on the lot and includes easements, property lines, required setbacks, and legal descriptions. Punch List – This is a list of items that need addressing or fixing by the contractor before the closing of the property. Typically, the homebuyer will create the list during the final stages of the building process or during the walk-through. Punch lists vary and can cover a wide range of issues such as leaky plumbing, non-functional electrical outlets, installation of the wrong items, spotty paint, drywall issues, and more. Title – A title is a formal document that proves ownership to a property. Walk-through – The walk-through is a final inspection of a home by a homebuyer for any possible last-minute problems that need addressing. The walk-through takes place before the closing of the property. For additional information on what you should know and do before buying a new construction home check out our blog on 9 Questions You Won’t Regret to Ask your Home Builder. 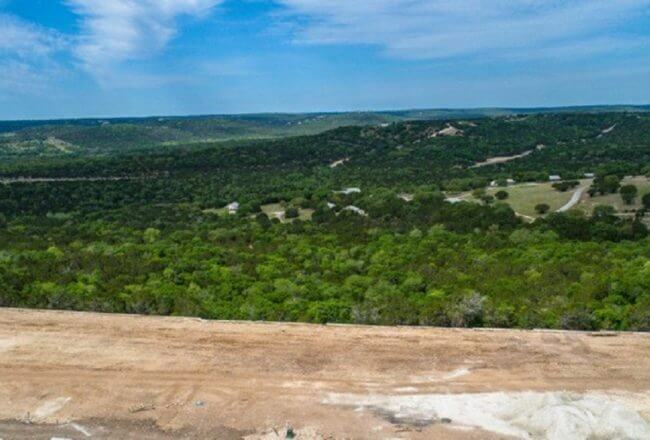 Travisso, a master-planned community among the backdrop of the Texas Hill Country in Leander offers state-of-the-art floor plans from award-winning premier builders. Homebuyers can choose from one and two-story floor plans ranging in size from 1,900 to over 5,000 square feet with prices starting in the 300s to over one million. Visit us today. We can’t wait to meet you. Call our Information Center at 512-243-8583.